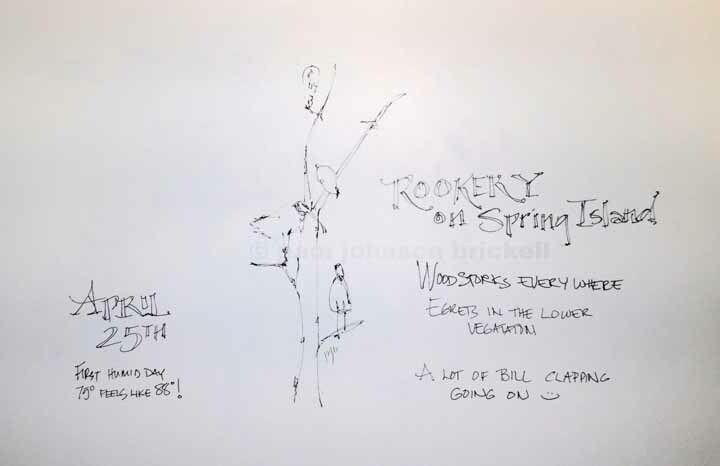 The rookery on Spring Island is humming, or should I say, clacking right along. 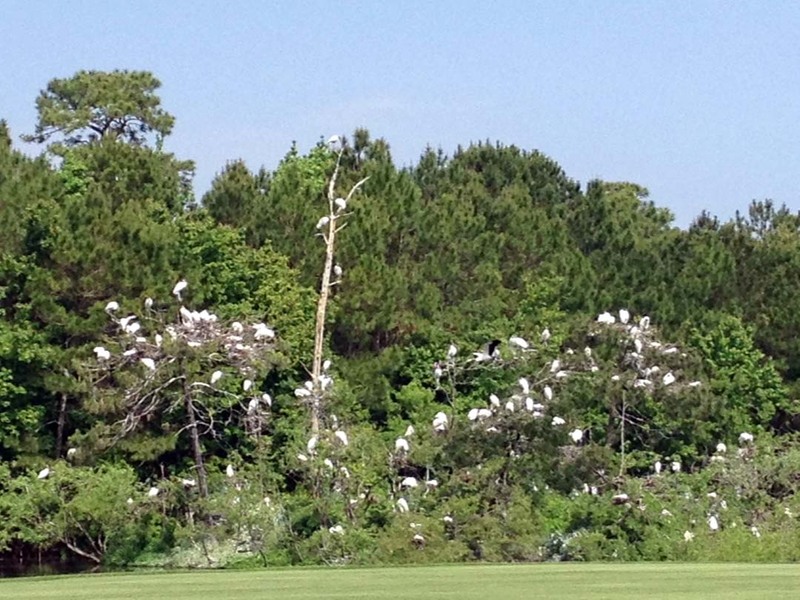 When I arrived all I could hear was the clacking of the Wood Storks bills. They decorated the tops of the trees while nesting egrets were sprinkled in the lower vegetation. The first page took 5 minutes, lettering included. My second page about 10 minutes. I discovered my waterbrush had no water in it, so had to wait until I got back to the office to complete the watercolor portion. Very simple sketches.... but I will always remember the clacking bills every time I see these pages. Love the freshness, Pam! Looks like a delightful place to visit! 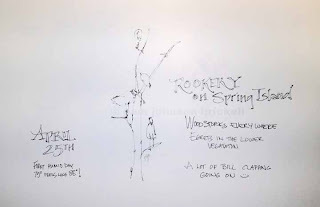 Nothing noisier than a rookery! I like sketches, but, like you, have to have some color or it feels unfinished. Rhonda, love the rookery sounds just need to be upwind from it, though. Yeeha! 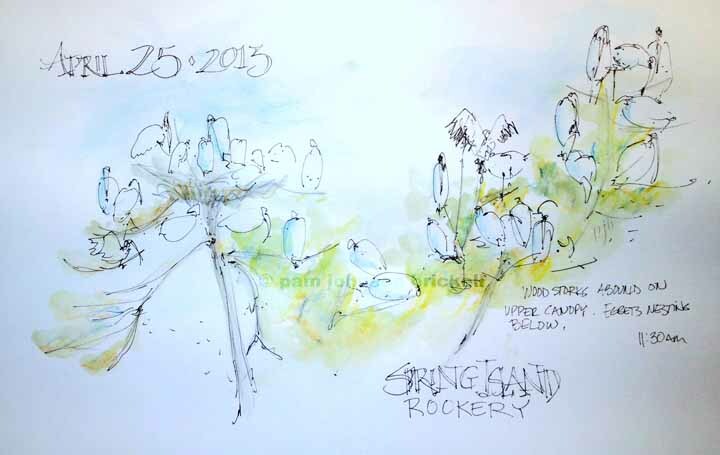 I saw a rookery one time while visiting Florida. 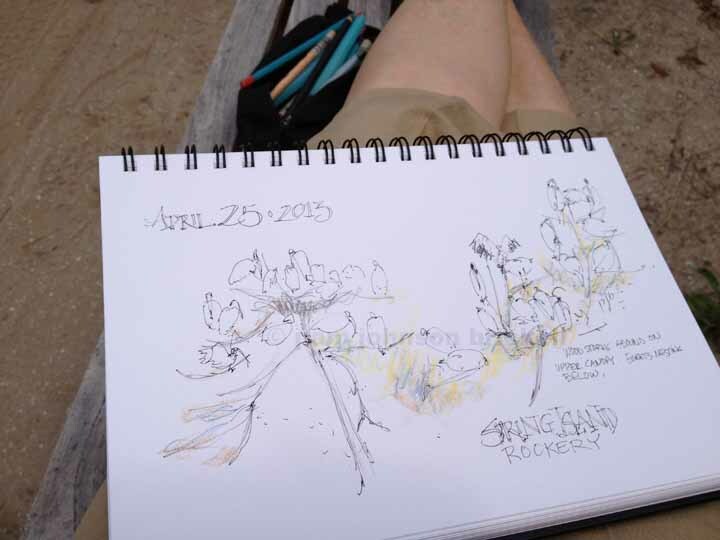 Your sketch brought my memories back to life! Your sketches are such an inspiration to me! Thanks for sharing.